Hi everybody, it’s Steven Mill – again. Last time I’ve talked about the importance of electrical engineering documentation. Now, here’s a kind of “part 2” in which I will talk about the application of the documentation in electrical engineering projects. Documentation is crucial in all industry niches. However, given the significantly high risks and project costs associated with engineering, then it is crucial that it be included. Though the general purposes across the board are similar, there are a number of disparities in electrical engineering. For a successful project, endeavour to have the following documentation in order. As much as most of electrical engineering involves tinkering with sources of power, equipment and components, proper management enables this. Management documentation involves ensuring that every non-technical aspect is documented—this mainly involves record keeping, time management and scheduling and task delegation. Every electrical project encompasses some steps, from the finance sourcing to the final supply of the components or material. Considering the high cost of electrical equipment, especially for medium to large projects, adhering to proper procurement and invoicing receipts and other charges is critical. This often requires adopting and maintaining a streamlined professional workforce and documenting system. In the same vein, management documentation ensures smooth task delegation that is crucial for project success. This cuts on redundancy—which is costly in electrical projects—conflicts and duplicity of roles. Defects and improper specifications pose the risks of malfunction and failure, which often means injury or death. The documentation, in this case, applies to the procured electrical components and materials, as well as installation techniques. This is especially vital for medium and large projects, as it ensures compliance and keeps costs and project duration down. Given the essential nature of every electrical component in a project of the system, a simple lack of or improper QA documentation can be catastrophic regarding the loss of life and injuries. In any electrical engineering project, regardless of scale, the most minor of errors can be catastrophic, considering that voltages and currents are involved. 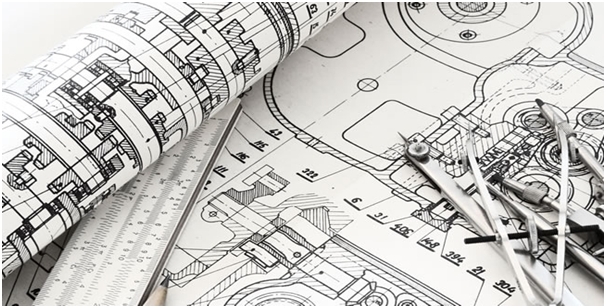 On the onset, the engineer needs to procure the components through a comprehensive equipment specification document. This defines, in detail, the exact specifications required for each part or equipment. In cases where this is not possible, the engineer then works with the supplier or manufacturer on the most feasible options for the equipment. This form of documentation needs to be thorough. It is most common in assembly sections, such as interconnection of individual electrical components to make a system, for example, a distribution network. This, of course, hinges heavily on the thoroughness of the previous specifications. Assembly or manufacturing documentation also needs to be systematic, given the significance of accuracy in electrical engineering. Facets such as tolerance, dimensions, gaps and adherence to standards is important. This documentation, other than according to safety during assembly and testing, when done correctly, accords the company a solid reputation, as they have shown willingness to adhere to the quality of products and processes. In all projects, collaboration with other industries, and parties, both internal and external is vital for project success. Proper information flow is recommended in such scenarios. For reduced conflict and smooth flow of information, invest in a traceable, auditable, easy to use and secure documentation model. Do you have any comments to add to my article? If yes, I’d be glad to discuss in the comments section below. or copy this trackback: http://engineering.electrical-equipment.org/others/the-required-electrical-engineering-documentation-for-projects.html/trackback from your own site.